We want to show you the different activities that we do at lunch time. During the midday are different corners and depends what we want to do we can choose one or another. 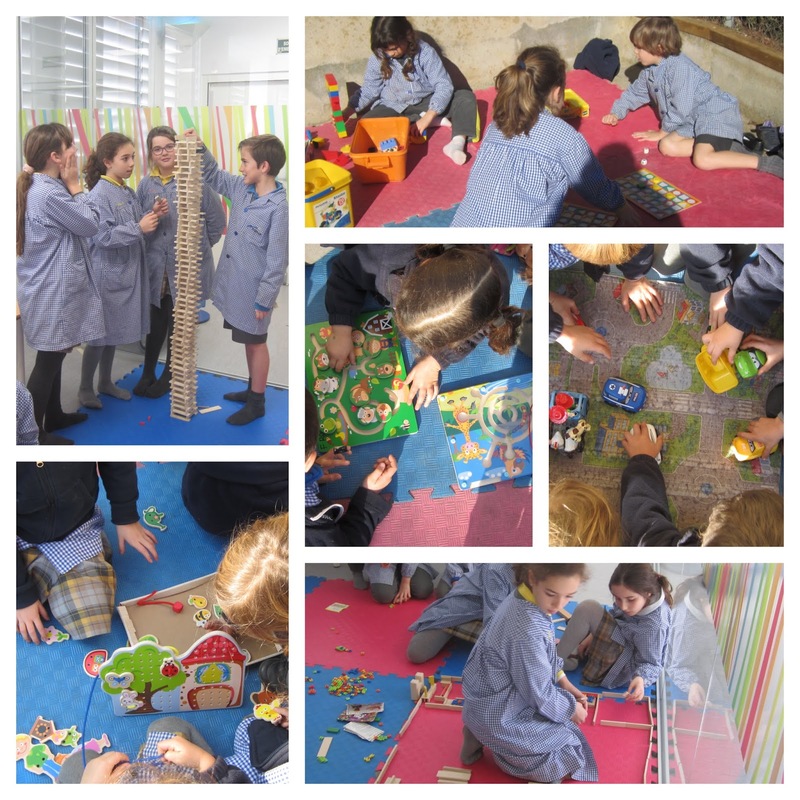 Here you can see some games that we play and this week the children did the most taller tower ever seen in the school! We spent a good time after having lunch and gather strenghth to pass the last classes.